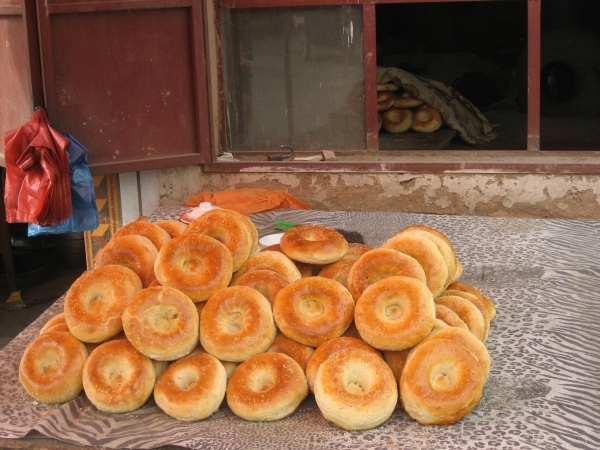 We covered the iconic round Uyghur nan bread in another post. 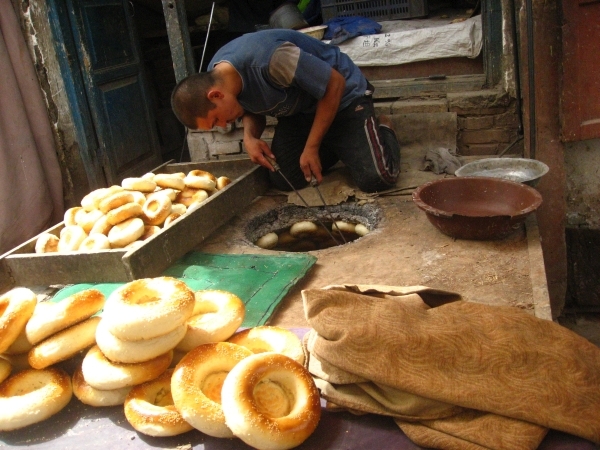 Another one of my favorite Uyghur breads is “girde nan”, which resembles a bagel, or more precisely, a bialy. It’s shaped like a bagel but the hole doesn’t go all the way through. They cook it in tandoor ovens just like nan, slapping it onto the walls and prying it off with tongs when done. Making these yourself is actually really simple, and way easier than the big disc-shaped bread because you want it to be thick. The instructions are the same as for nan, but shaping them is much easier. You can put your favorite bagel toppings on them too; I like putting garlic even though that isn’t really common in Xinjiang. 1. 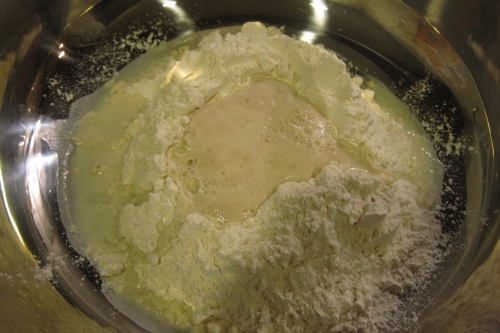 In a large bowl, make a mountain of flour with a hole in the middle. Pour warm water into the middle, add 1/3-1/2 packet of dry yeast, salt, and a bit of sugar. Mix well and let stand for a few minutes. When it has gotten frothy, add the egg in. Then mix everything well, adding water as needed. 2. When you have a somewhat firm mixture, flour a surface and knead the dough for 10 minutes. 3. 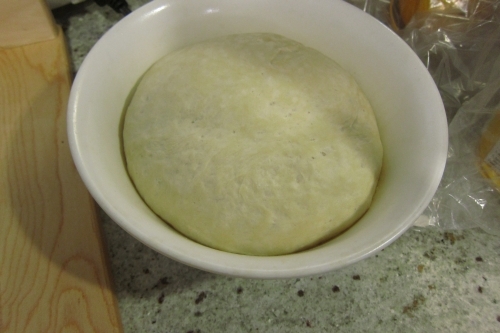 Oil a bowl and put the kneaded dough ball in, cover with a cloth and let rest for 1 hour in a warm place. Preheat the oven to 500 F at this stage. 4. 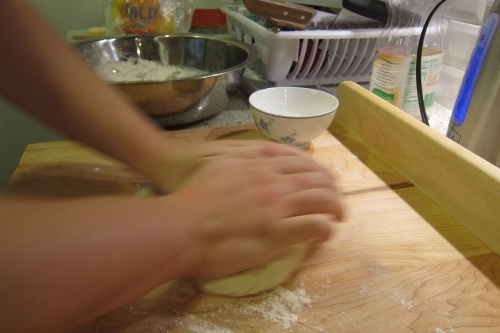 When the dough has finished resting, punch it down and knead it a bit more. 5. 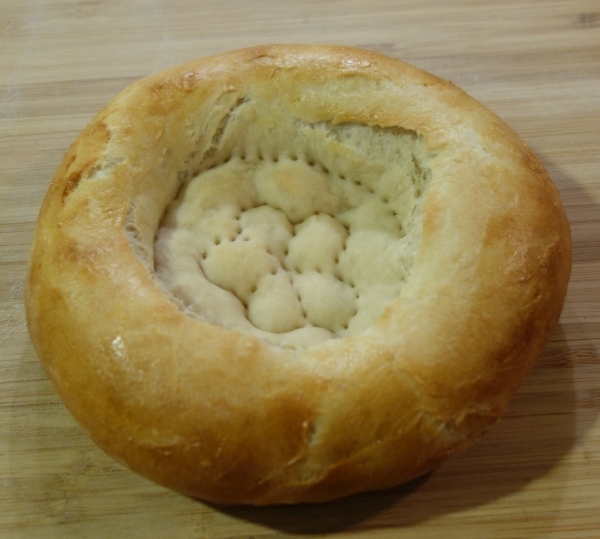 Take a piece of dough and roll it into a ball; flatten it a bit with a rolling pin and use your thumbs in the center to make a deep indentation. Use a fork and poke holes all around the edge of this indent and in the center so it doesn’t rise. 6. Coat the outside with egg or oil, and add your favorite toppings: sesame, nigella seeds, poppy, garlic, onion, etc. Bake on a pizza stone for ~10 minutes or until golden brown. Enjoy!